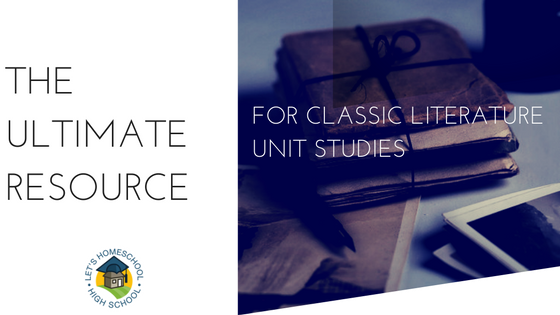 Teaching High School Literature can be a daunting task unless you have the right tools for the job. We at Let’s Homeschool High School know you’ve got your hands full homeschooling, so we’ve put together a grade level literature plan for your high school homeschool. We have tried to keep the plan typical to what is expected of a college preparatory high school program with everything you need to create the perfect unit study – right at your fingertips!